Chromatin interaction analysis by paired-end tag sequencing (ChIA-PET) is a method for the genome-wide de novo discovery of chromatin interactions. Existing computational methods typically fail to detect weak or dynamic interactions because they use a peak-calling step that ignores paired-end linkage information. We have developed a novel computational method called Chromatin Interaction Discovery (CID) to overcome this limitation with an unbiased clustering approach for interaction discovery. CID outperforms existing chromatin interaction detection methods with improved sensitivity, replicate consistency, and concordance with other chromatin interaction datasets. In addition, CID can also be applied to HiChIP data to discover chromatin interactions. We expect that the CID method will be valuable in characterizing 3D chromatin interactions and in understanding the functional consequences of disease-associated distal genetic variations. 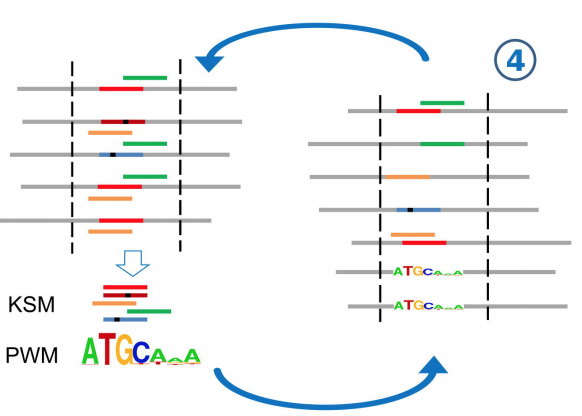 Following Cas9 cleavage, DNA repair without a donor template is generally considered stochastic, heterogeneous and impractical beyond gene disruption. Here, we show that template-free Cas9 editing is predictable and capable of precise repair to a predicted genotype, enabling correction of disease-associated mutations in humans. We constructed a library of 2,000 Cas9 guide RNAs paired with DNA target sites and trained inDelphi, a machine learning model that predicts genotypes and frequencies of 1- to 60-base-pair deletions and 1-base-pair insertions with high accuracy (r = 0.87) in five human and mouse cell lines. inDelphi predicts that 5-11% of Cas9 guide RNAs targeting the human genome are ‘precise-50’, yielding a single genotype comprising greater than or equal to 50% of all major editing products. 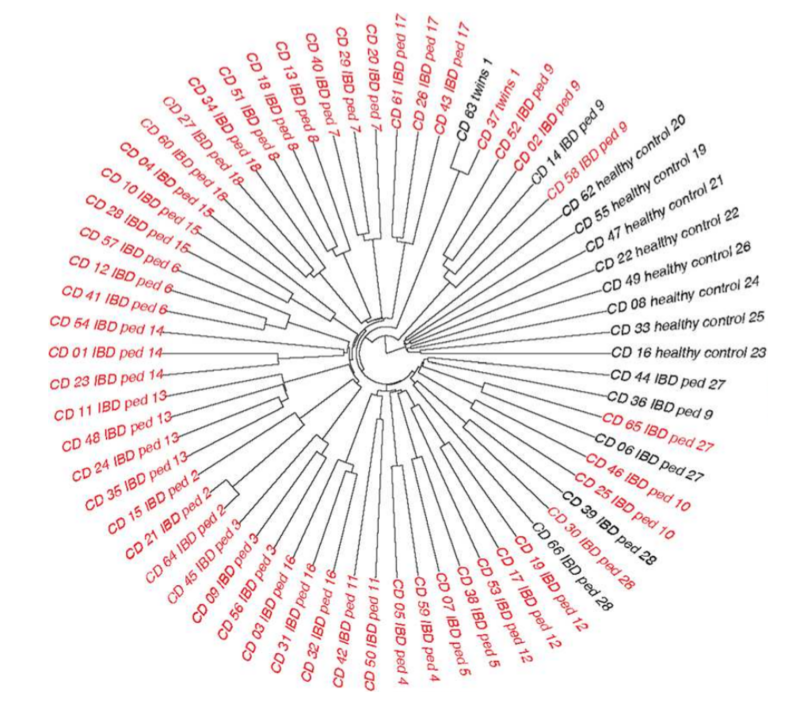 We experimentally confirmed precise-50 insertions and deletions in 195 human disease-relevant alleles, including correction in primary patient-derived fibroblasts of pathogenic alleles to wild-type genotype for Hermansky-Pudlak syndrome and Menkes disease. This study establishes an approach for precise, template-free genome editing. Shen MW, Arbab M, Hsu JY, Worstell D, Culbertson SJ, Krabbe O, Cassa CA, Liu DR, Gifford DK, Sherwood RI. Nature. 2018 Nov;563(7733):646-651. doi: 10.1038/s41586-018-0686-x. Epub 2018 Nov 7. A novel k-mer set memory (KSM) motif representation improves regulatory variant prediction. 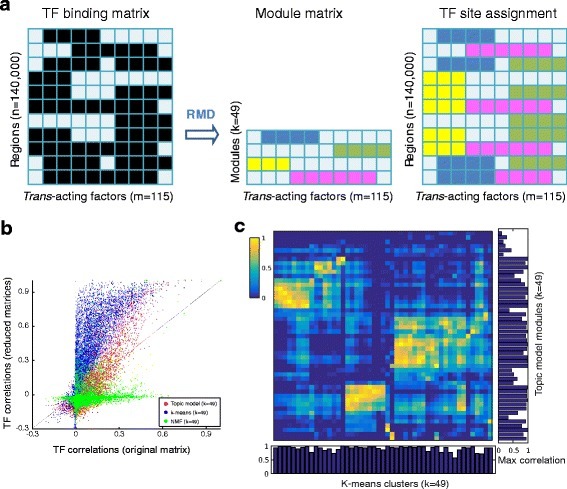 The representation and discovery of transcription factor (TF) sequence binding specificities is critical for understanding gene regulatory networks and interpreting the impact of disease-associated non-coding genetic variants. We present a novel TF binding motif representation, the k-mer set memory (KSM), which consists of a set of aligned k-mers that are over-represented at TF binding sites, and a new method called KMAC for de novo discovery of KSMs. We find that KSMs more accurately predict in vivo binding sites than position weight matrix (PWM) models and other more complex motif models across a large set of ChIP-seq experiments. Furthermore, KSMs outperform PWMs and more complex motif models in predicting in vitro binding sites. KMAC also identifies correct motifs in more experiments than five state-of-the-art motif discovery methods. 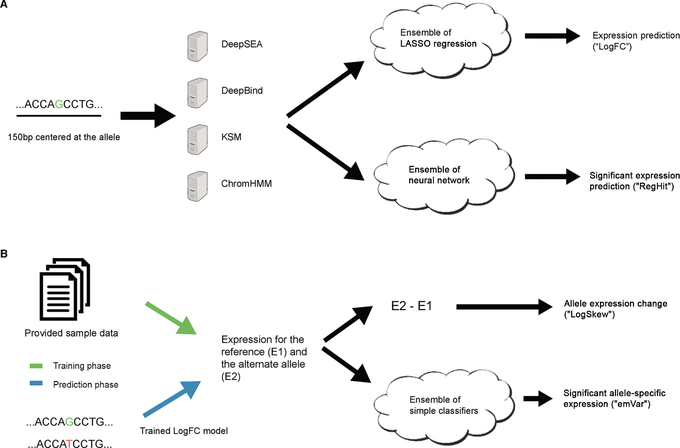 In addition, KSM derived features outperform both PWM and deep learning model derived sequence features in predicting differential regulatory activities of expression quantitative trait loci (eQTL) alleles. Finally, we have applied KMAC to 1600 ENCODE TF ChIP-seq datasets and created a public resource of KSM and PWM motifs. We expect that the KSM representation and KMAC method will be valuable in characterizing TF binding specificities and in interpreting the effects of non-coding genetic variations. Guo Y, Tian K, Zeng H, Guo X, Gifford DK. DNase-capture reveals differential transcription factor binding modalities. Kang D, Sherwood R, Barkal A, Hashimoto T, Engstrom L, Gifford D.
PLoS One. 2017 Dec 28;12(12):e0187046. doi: 10.1371/journal.pone.0187046. eCollection 2017. 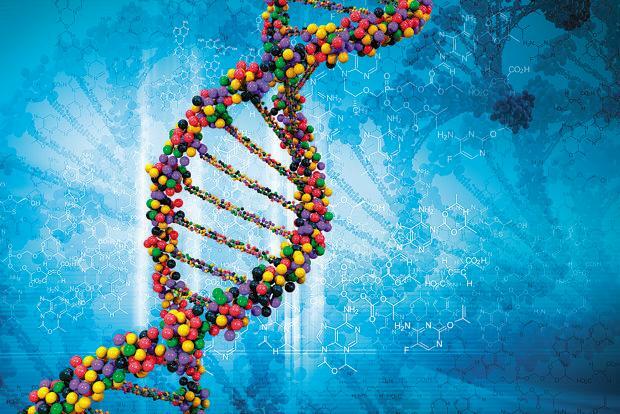 Precision medicine aims to predict a patient's disease risk and best therapeutic options by using that individual's genetic sequencing data. The Critical Assessment of Genome Interpretation (CAGI) is a community experiment consisting of genotype-phenotype prediction challenges; participants build models, undergo assessment, and share key findings. For CAGI 4, three challenges involved using exome-sequencing data: Crohn's disease, bipolar disorder, and warfarin dosing. Previous CAGI challenges included prior versions of the Crohn's disease challenge. Here, we discuss the range of techniques used for phenotype prediction as well as the methods used for assessing predictive models. Additionally, we outline some of the difficulties associated with making predictions and evaluating them. The lessons learned from the exome challenges can be applied to both research and clinical efforts to improve phenotype prediction from genotype. In addition, these challenges serve as a vehicle for sharing clinical and research exome data in a secure manner with scientists who have a broad range of expertise, contributing to a collaborative effort to advance our understanding of genotype-phenotype relationships. Hum Mutat. 2017 Sep;38(9):1182-1192. doi: 10.1002/humu.23280. Epub 2017 Jul 7. We present a model that, after learning on observations of (sequence, outcome) pairs, can be efficiently used to revise a new sequence in order to improve its associated outcome. Our framework requires neither example improvements, nor additional evaluation of outcomes for proposed revisions. To avoid combinatorial-search over sequence elements, we specify a generative model with continuous latent factors, which is learned via joint approximate inference using a recurrent variational autoencoder (VAE) and an outcome-predicting neural network module. 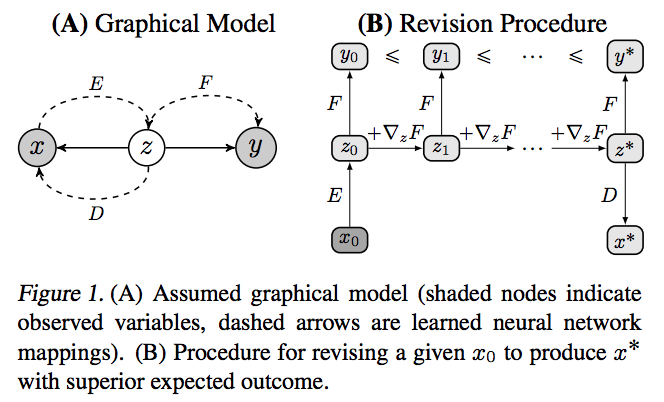 Under this model, gradient methods can be used to efficiently optimize the continuous latent factors with respect to inferred outcomes. By appropriately constraining this optimization and using the VAE decoder to generate a revised sequence, we ensure the revision is fundamentally similar to the original sequence, is associated with better outcomes, and looks natural. These desiderata are proven to hold with high probability under our approach, which is empirically demonstrated for revising natural language sentences. Mueller J, Gifford DK, Jaakkola T.
International Conference on Machine Learning, pp. 2536-2544. 2017. We present a nonparametric framework to model a short sequence of probability distributions that vary both due to underlying effects of sequential progression and confounding noise. To distinguish between these two types of variation and estimate the sequentialprogression effects, our approach leverages an assumption that these effects follow a persistent trend. This work is motivated by the recent rise of single-cell RNA-sequencing experiments over a brief time course, which aim to identify genes relevant to the progression of a particular biological process across diverse cell populations. While classical statistical tools focus on scalar-response regression or order-agnostic differences between distributions, it is desirable in this setting to consider both the full distributions as well as the structure imposed by their ordering. We introduce a new regression model for ordinal covariates where responses are univariate distributions and the underlying relationship re- flects consistent changes in the distributions over increasing levels of the covariate. This concept is formalized as a trend in distributions, which we define as an evolution that is linear under the Wasserstein metric. Implemented via a fast alternating projections algorithm, our method exhibits numerous strengths in simulations and analyses of single-cell gene expression data. Mueller J, Jaakkola T, Gifford DK. We characterize how genomic variants that alter chromatin accessibility influence regulatory factor binding with a new method called DeltaBind that predicts condition specific factor binding more accurately than other methods based on DNase-seq data. 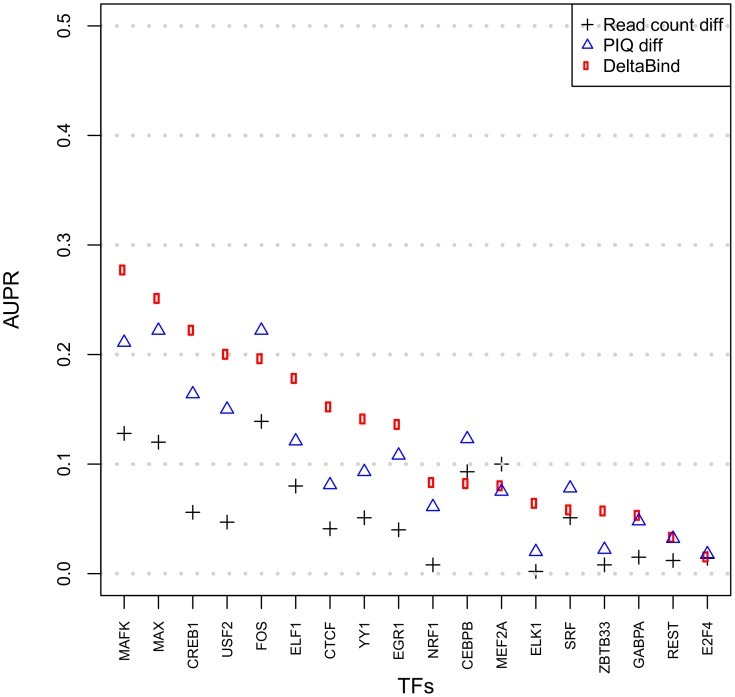 Using DeltaBind and DNase-seq experiments we predicted the differential binding of 18 factors in K562 and GM12878 cells with an average precision of 28% at 10% recall, with the prediction of individual factors ranging from 5% to 65% precision. We further found that genome variants that alter chromatin accessibility are not necessarily predictive of altering proximal factor binding. Taken together these findings suggest that DNase-seq or ATAC-seq Quantitative Trait Loci (dsQTLs), while important, must be considered in a broader context to establish causality for phenotypic changes. Chen R and Gifford DK. PLoS One. 2017 Jul 13;12(7):e0179411. doi: 10.1371/journal.pone.0179411. eCollection 2017. Predicting the impact of non-coding variants on DNA methylation. DNA methylation plays a crucial role in the establishment of tissue-specific gene expression and the regulation of key biological processes. However, our present inability to predict the effect of genome sequence variation on DNA methylation precludes a comprehensive assessment of the consequences of non-coding variation. 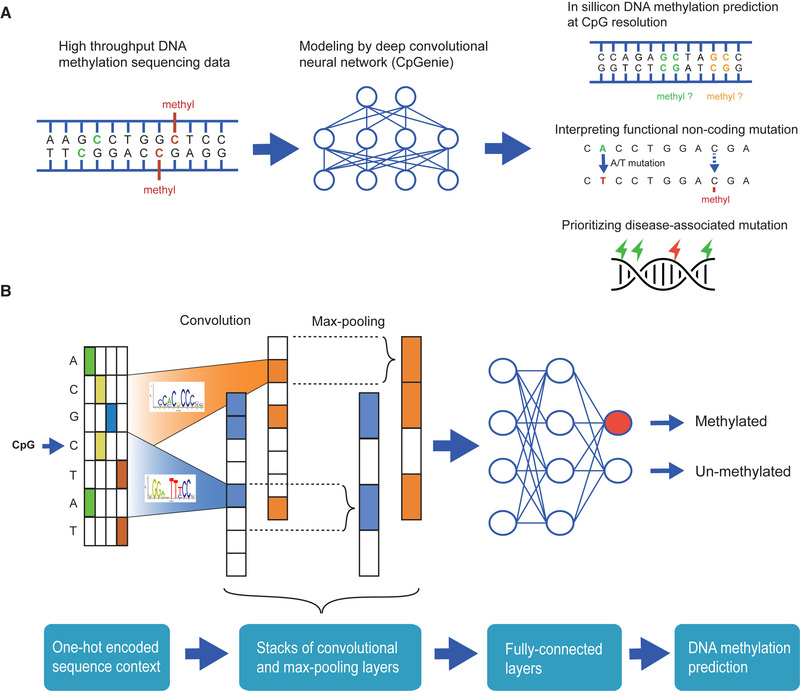 We introduce CpGenie, a sequence-based framework that learns a regulatory code of DNA methylation using a deep convolutional neural network and uses this network to predict the impact of sequence variation on proximal CpG site DNA methylation. CpGenie produces allele-specific DNA methylation prediction with single-nucleotide sensitivity that enables accurate prediction of methylation quantitative trait loci (meQTL). We demonstrate that CpGenie prioritizes validated GWAS SNPs, and contributes to the prediction of functional noncoding variants, including expression quantitative trait loci (eQTL) and disease-associated mutations. CpGenie is publicly available to assist in identifying and interpreting regulatory non-coding variants. Zeng H and Gifford DK. Nucleic Acids Res. 2017 Jun 20;45(11):e99. doi: 10.1093/nar/gkx177. 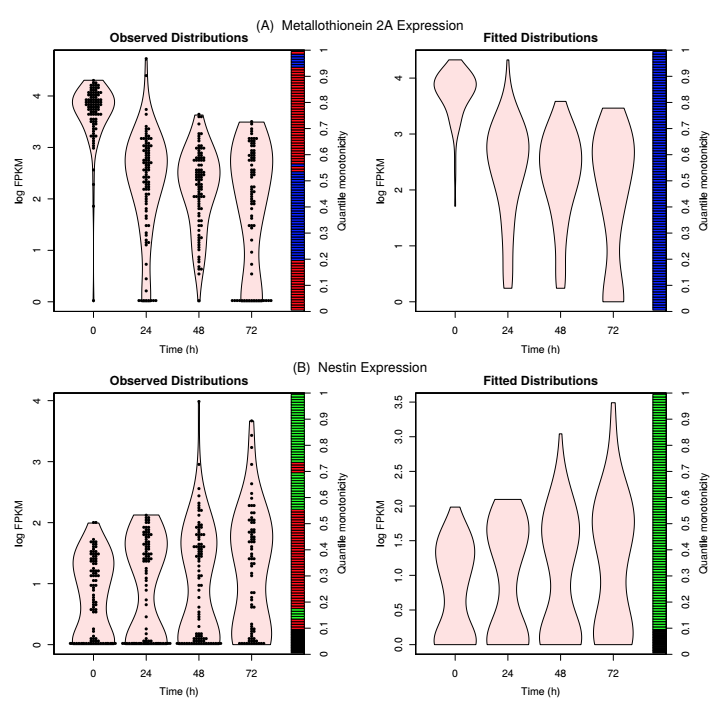 We present a novel ensemble-based computational framework, EnsembleExpr, that achieved the best performance in the Fourth Critical Assessment of Genome Interpretation expression quantitative trait locus "(eQTL)-causal SNPs" challenge for identifying eQTLs and prioritizing their gene expression effects. eQTLs are genome sequence variants that result in gene expression changes and are thus prime suspects in the search for contributions to the causality of complex traits. When EnsembleExpr is trained on data from massively parallel reporter assays, it accurately predicts reporter expression levels from unseen regulatory sequences and identifies sequence variants that exhibit significant changes in reporter expression. Compared with other state-of-the-art methods, EnsembleExpr achieved competitive performance when applied on eQTL datasets determined by other protocols. We envision EnsembleExpr to be a resource to help interpret noncoding regulatory variants and prioritize disease-associated mutations for downstream validation. Zeng H, Edwards MD, Guo Y, Gifford DK. Hum Mutat. 2017 Feb 21, doi: 10.1002/humu.23198. Predicting gene expression in massively parallel reporter assays: A comparative study. In many human diseases, associated genetic changes tend to occur within noncoding regions, whose effect might be related to transcriptional control. A central goal in human genetics is to understand the function of such noncoding regions: given a region that is statistically associated with changes in gene expression (expression quantitative trait locus [eQTL]), does it in fact play a regulatory role? And if so, how is this role “coded” in its sequence? These questions were the subject of the Critical Assessment of Genome Interpretation eQTL challenge. 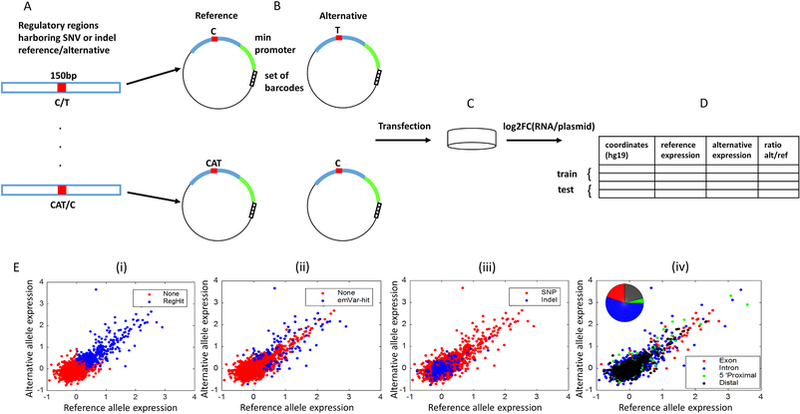 Participants were given a set of sequences that flank eQTLs in humans and were asked to predict whether these are capable of regulating transcription (as evaluated by massively parallel reporter assays), and whether this capability changes between alternative alleles. Here, we report lessons learned from this community effort. By inspecting predictive properties in isolation, and conducting meta-analysis over the competing methods, we find that using chromatin accessibility and transcription factor binding as features in an ensemble of classifiers or regression models leads to the most accurate results. We then characterize the loci that are harder to predict, putting the spotlight on areas of weakness, which we expect to be the subject of future studies. Hum Mutat. 2017 Feb 21., doi: 10.1002/humu.23197. Modular combinatorial binding among human trans-acting factors reveals direct and indirect factor binding. We present a new computational approach that models the modular organization of TF combinatorial binding. Our method learns compact and coherent regulatory modules from in vivo binding data using a topic model. We found that the binding of 115 TFs in K562 cells can be organized into 49 interpretable modules. Furthermore, we found that tens of thousands of regulatory regions use multiple modules, a structure that cannot be observed with previous hard clustering based methods. The modules discovered recapitulate many published protein-protein physical interactions, have consistent functional annotations of chromatin states, and uncover context specific co-binding such as gene proximal binding of NFY + FOS + SP and distal binding of NFY + FOS + USF. For certain TFs, the co-binding partners of direct binding (motif present) differs from those of indirect binding (motif absent); the distinct set of co-binding partners can predict whether the TF binds directly or indirectly with up to 95% accuracy. Joint analysis across two cell types reveals both cell-type-specific and shared regulatory modules. CONCLUSIONS: Our results provide comprehensive cell-type-specific combinatorial binding maps and suggest a modular organization of combinatorial binding. BMC Genomics. 2017 Jan 6;18(1):45., doi: 10.1186/s12864-016-3434-3. Rhee HS, Closser M, Guo Y, Bashkirova EV, Tan CG, Gifford DK, Wichterle H.
Neuron. 2016 Dec 21;92(6):1252-1265., doi: 10.1016/j.neuron. 2016.11.037. Gould GM, Paggi JM, Guo Y, Phizicky DV, Zinshteyn B, Wang ET, Gilbert WV, Gifford DK, Burge CB. RNA. 2016 Oct;22(10):1522-34., doi: 10.1261/ma.057216.116. Hashimoto TB, Sherwood RI, Kang DD, Barkal AA, Zeng H, Emons BJM, Srinivasan S, Rajagopal N, Jaakkola T, and Gifford DK. Hashimoto TB, Gifford DK, Jaakkola TS. Proceedings of the 33rd International Conference on Machine Learning (ICML). in PMLR 48:2417-2426 (2016). Zeng H, Edwards MD, Liu G, Gifford DK. Bioinformatics. 2016 Jun 15;32(12):i121-i127. doi: 10.1093/bioinformatics/btw255. Ferreira LM, Meissner TB, Mikkelsen TS, Mallard W, O’Donnell CW, Tilburgs T, Gomes HA, Camahort R, Sherwood RI, Gifford DK, Rinn JL, Cowan CA, Strominger JL. Proc Natl Acad Sci U.S.A . 2016 May 10;113(19):5364-9. doi: 10.1073/pnas.1602886113. Srinivasan S, Hashimoto T, Gifford DK, Sherwood RI. PLoS One. 2016 Mar 31;11(3):e0152683. Rajagopal, Nisha, Sharanya Srinivasan, Kameron Kooshesh, Yuchun Guo, Matthew D. Edwards, Budhaditya Banerjee, Tahin Syed, Bart JM Emons, David K. Gifford, and Richard I. Sherwood. H. Zeng, T. Hashimoto, D.D. Kang, D.K. Gifford. Christopher Reeder, Michael Closser, Huay Mei Poh, Kuljeet Sandhu,Hynek Wichterle, David Gifford. Weida Li, Claudia Cavelti-Weder, Yinying Zhang, Kendell Clement, Scott Donovan, Gabriel Gonzalez, Jiang Zhu, Marianne Stemann, Ke Xu, Tatsu Hashimoto, Takatsugu Yamada, Mio Nakanishi, Yuemei Zhang, Samuel Zeng, David Gifford, Alexander Meissner, Gordon Weir, and Qiao Zhou. S. Lodato, B.J. Molyneaux, E. Zuccaro, L.A. Goff, H.H. Chen, W. Yuan, A. Meleski, E. Takahashi, S. Mahony, J.L. Rinn, D.K., P. Arlotta. Matthew D. Edwards, Anna Symbor-Nagrabska, Lindsey Dollard, David K. Gifford, Gerald R. Fink. S. Mahony, M. D. Edwards, E. O. Mazzoni, R. I. Sherwood, A. Kakumanu, C. A. Morrison, H. Wichterle, D. K. Gifford . S. Hrvatin, F. Deng, C. W. O’Donnell, D. K. Gifford, D. A. Melton. Differentiated human stem cells resemble fetal, not adult, ß cells. S. Hrvatin, C. W. O’Donnell, F. Deng, J. R. Millman, F. W. Pagliuca, P. DiIorio, A. Rezania, D. K. Gifford, D. A. Melton. R. I. Sherwood, T. Hashimoto, C. W. O’Donnell, D. Lewis, A. A. Barkal, J. P. van Hoff, V. Karun, T. Jaakkola, D. K. Gifford. E.J. Paik, S. Mahony, R. M. White, E.N. Price, A. Dibiase, B. Dorjsuren, C. Mosimann, A. J. Davidson, D. Gifford, L. I. Zon. Science. 2013 Aug 16;341(6147):726-7. doi: 10.1126/science.1235884. High resolution genome wide binding event finding and motif discovery reveals transcription factor spatial binding constraints. Y. Guo, S. Mahony, D. K. Gifford. PLoS Comput Biol. 2012 Aug;8(8):e1002638. E. O. Mazzoni, S. Mahony, M. Iacovino, C. A. Morrison, G. Mountoufaris, M. Closser, W. A. Whyte, R. A. Young, M. Kyba, D. K. Gifford, H. Wichterle H.
BMC Bioinformatics, 2011 Jul 7;12:278. S. Mahony, E. O. Mazzoni, S. McCuine, R. A. Young, H. Wichterle, D. K.Gifford. J. Wolff, R. D. Dowell, S. Mahony, M. Rabani, D. K. Gifford, and G. R. Fink. Cell, 125(2), April, 2006, pp 301-313. L. A. Boyer, K. Plath, J. Zeitlinger, T. Brambrink, L. A. Medeiros, T. I Lee., S. S. Levine, M. Wernig, A. Tajonar, M. K. Ray, G. W. Bell, A. P. Otte, M. Vidal, D. K. Gifford, R. A. Young, and R. Jaenisch. Core Transcriptional Regulatory Circuitry in Human Hepatocytes. D.T. Odom, R.D. Dowell, E.S. Jacobsen, L. Nekludova, P.A. Rolfe, T.W. Danford, D.K. Gifford, E. Fraenkel, G.I. Bell, and R.A. Young. Nature/EMBO Molecular Systems Biology, msb4100059, 2 May 2006. Cell, 122(4), August, 2005. pp. 517-527. Odom, D. T., Zizlsperger, N., Gordon, D. B., Bell, G. W., Rinaldi, N. J., Murray, H. L., Volkert, T. L., Schreiber, J., Rolfe, P. A., Gifford, D. K., Fraenkel, E., Bell, G. I., Young, R. A.
Takusagawa, K. T., Gifford, D. K.
Bar-Joseph, Z., Gerber, G. K., Lee, T. I., Rinaldi, N. J., Yoo, J. Y., Robert, F., Gordon, D. B., Fraenkel, E., Jaakkola, T. S., Young, R. A., Gfford D. K.
Z. Bar-Joseph, Gerber, D. Gifford, T Jaakkola and I. Simon G. Gerber, D. Gifford, T. Jaakkola and I. Simon. Hartemink, A. J., Gifford, D. K., Jaakkola, T. S., Young, R. A.
Simon, I., Barnett, J., Hannett, N., Harbison, C. T., Rinaldi, N. J., Volkert, T. L. Wyrick, J. J., Zeitlinger, J., Gifford., D. K., Jaakkola, T. S., Young, R. A. Theory of Computing Systems, 255, pp 483-499, 2002. Khodor, J. and Gifford, D. K.